If you go straight on here you will end up in Best Lane. 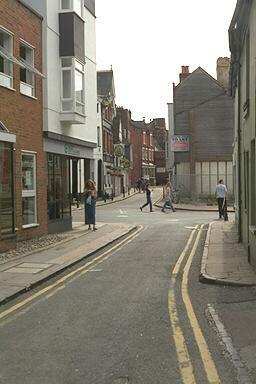 I'll guess that the line of this section of King Street has moved a little way at some time in the past. Photograph 1996. © Copyright Peter Collinson, All rights reserved.